In response to the growing wave of anti-Semitic incidents across the country, the Greater Miami Jewish Federation continues our ongoing work to secure our Jewish community. Click here to read a letter from Federation Board Chair Amy Dean and President and CEO Jacob Solomon detailing these efforts. Gather your friends and family to make a difference in your Jewish community as part of Super Sunday and Good Deeds Day, Federation’s largest annual service day. 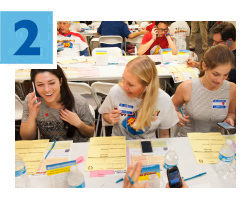 Join hundreds of volunteers on Sunday, March 19 at Federation Headquarters and help raise money for the Annual Federation/UJA Campaign via phone calls and letter-writing – plus a variety of good deeds projects to benefit our local community. For more information and to register, click here. 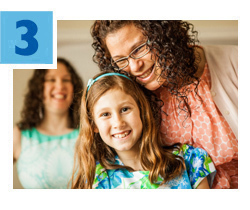 Federation recently provided $50,000 in Women’s Impact Initiative (WII) grants to 10 Miami-Dade County organizations that inspire and empower Jewish women and girls through programs that pursue social, economic, religious and political equality. WII Committee Chair Elise Scheck Bonwitt said, “With support from the Annual Federation/UJA Campaign, we are investing in Miami’s Jewish women and having a real impact.” Click here for a full list of recipients. Read more. Do you know an extraordinary Miami teen entering 10th or 11th grade? 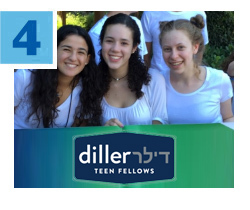 Diller Teen Fellows, an international, immersive leadership program, is seeking applicants for its 2017-2018 cohort. Participants will attend a variety of meaningful and educational events, including Sunday workshops, thought-provoking weekend retreats and an inspiring three-week seminar in Israel. 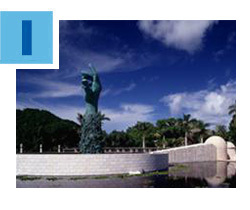 Diller is operated in Miami by Federation’s subsidiary agency the Center for the Advancement of Jewish Education (CAJE). For more information, click here. 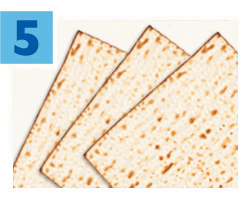 PJ Library invites you to join Jewish Community Services and Federation for JCS Matzah Mitzvah & More on Sunday, March 26 to help fight food insufficiency in Miami. During this annual food distribution event, volunteers will assemble and deliver food baskets to 600 homebound seniors. Please note the new location for the event: Temple Israel of Greater Miami, 137 NE 19th Street. PJ Library is a gift from the Greater Miami Jewish Federation made possible by the Harold Grinspoon Foundation and the Blank Family Foundation. For more information, click here.